Ultrasound can be helpful for diagnosing acute heart failure - mainly by looking for signs of pulmonary edema and poor systolic heart function. Previous results have shown that ultrasound is accurate for the diagnosis, but maybe you're worried that it takes too long. 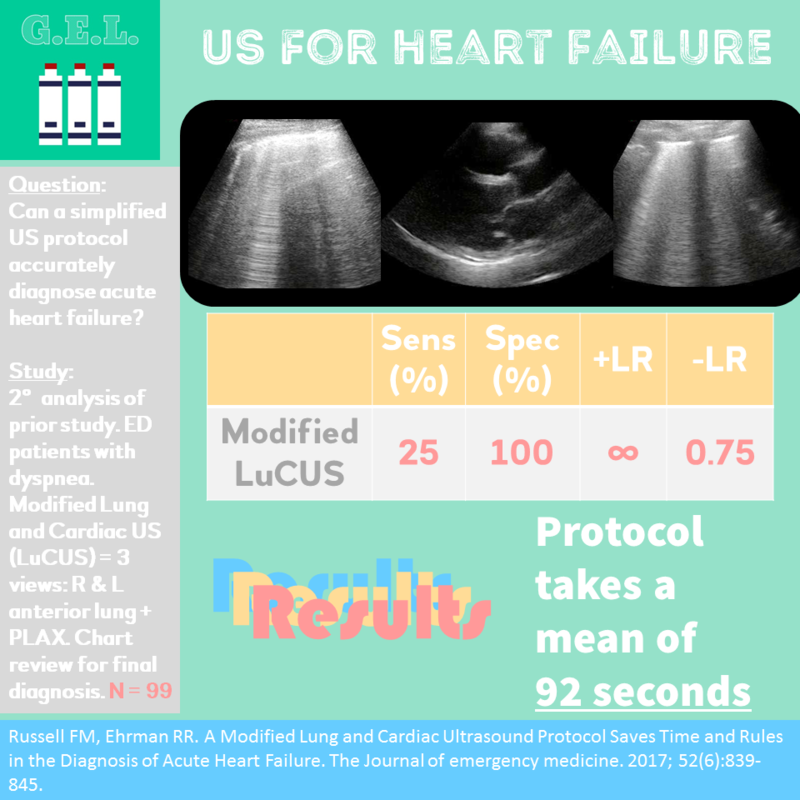 This article tries to test a simple and fast ultrasound protocol that can maintain accuracy in making the diagnosis. Alright, we all know that TAPSE (tricuspid annular plane systolic excursion) is a fun word to say, but the question is whether or not it can be used in the emergency department to help diagnose someone with a pulmonary embolism. 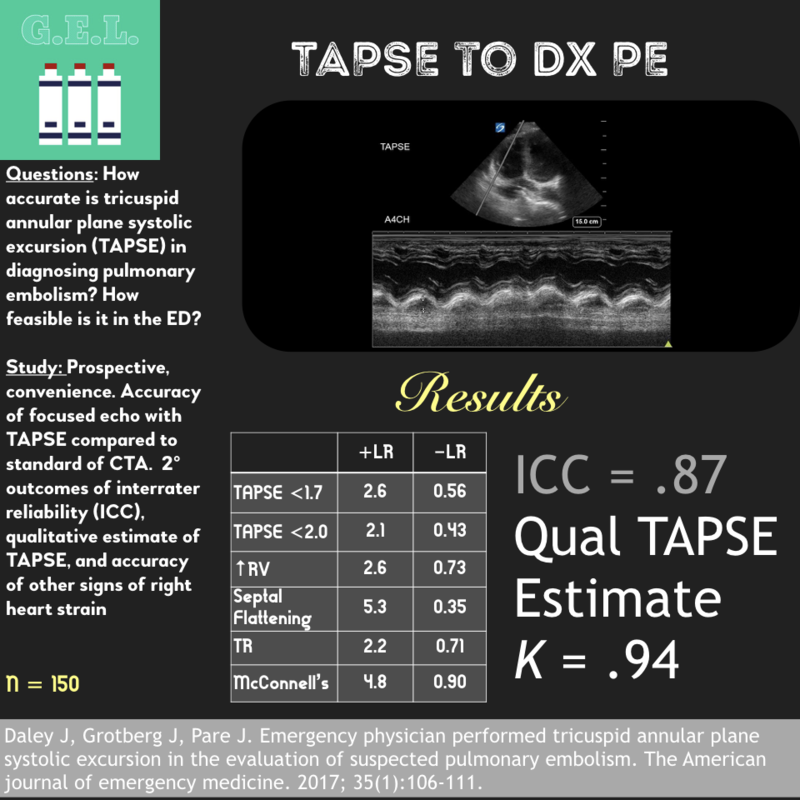 The TAPSE is a marker of right heart strain, and we know that PEs can cause right heart strain - so...it seems like a reasonable idea, right? Well this article takes a look to see if this is something that can be done in the ED and whether or not it is accurate for the diagnosis. Ultrasound is commonly used in the resuscitations of patients in cardiac arrest. It can help to determine cardiac activity and etiologies of the arrest. Usually the ultrasound evaluation is performed during a pulse check. 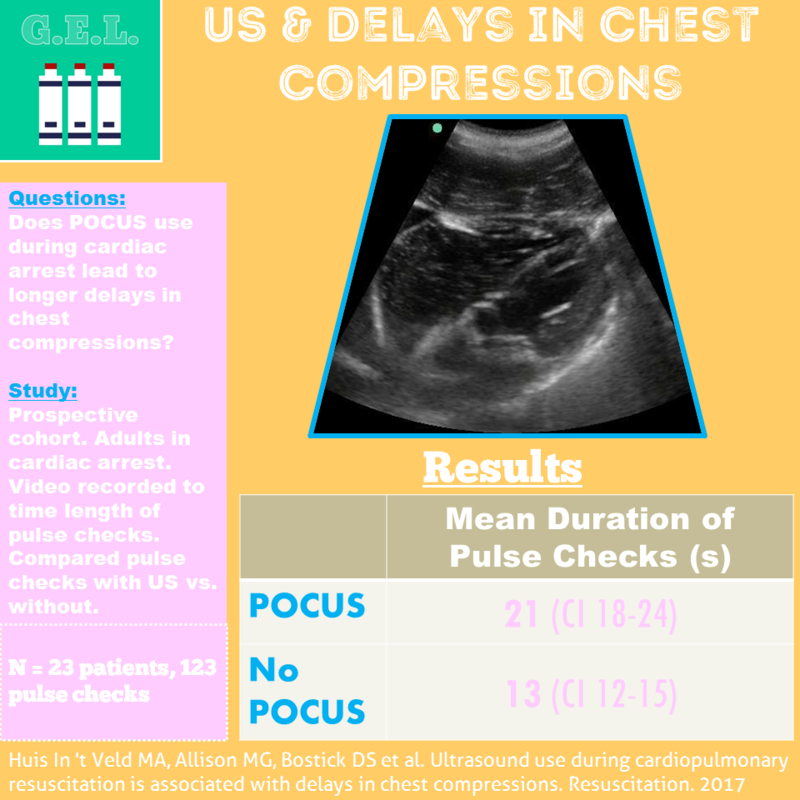 We know that we need to minimize pulse checks to maintain good perfusion - so is it possible that ultrasound causes further delays between chest compressions? This article says yes.